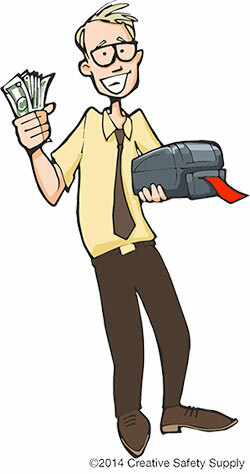 Why choose an industrial label printer? Unbeatable performance in industrial environments. Create tough, long-lasting labels for hot, cold, wet, or high-traffic environments with an industrial label printer. Your labels will last for years and resist smearing, scuffing, and other damage. Perfect for workplaces with even extreme conditions. Print labels on-demand for any application. With a thermal transfer printer, you can tackle any custom label printing project. Print barcode labels, safety labels, arc flash labels, and any other labels you require. Plus, you can print labels whenever you need them. The most cost-effective labeling method. An industrial label printer saves you money, especially on big printing jobs. Ordering labels from a third-party vendor not only costs more per label, you’ll also have to wait for your labels to arrive. LabelTac® Pro X The ultimate in quick, convenient label printing technology. LabelTac® 4 Budget-friendly, entry-level system for fast, easy printing. LabelTac® 9 Heavy-duty, large-format printer for creating labels up to 9” wide. Brady BMP71 Versatile, portable label printer for making small, custom labels. Pipe MarkingPrint pipe marking labels and pipe tags that meet ANSI and ASME standards. Arc Flash LabelsMake custom labels warning people about electrical arc flash. Industrial LabelsCreate labels that can withstand extreme temperatures, water, and more. Barcode LabelsKeep your warehouse organized with customized barcode labeling. Before you go and purchase a label printer, however, make sure you look at each of the following 13 features below. This report will introduce you to each of these features, explain some of the options you’ll have for each of them and finally, show how that feature can benefit your company. To make it easier to follow along, the first two types of features will be broken down into categories. This section will cover the different types of industrial label printers. This specifically looks at the different ways the printers put the text or images on the labels, and why choosing the right option is important for your company. Thermal transfer technology is typically only found in industrial label printing because of the fact that it is not nearly as precise or ‘high definition’ as other options can be. In most facilities, however, this is not a concern because it is only necessary to print smaller labels and signs that are clear to the reader. The technology itself works by heating up a wax based ink on a ribbon and then applying it to the paper or other medium that you are using. It is often used with vinyl label stock. 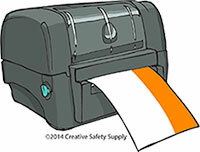 You can select either a black & white thermal transfer label printer, or a color option. Both of them will create easy to read, high contrast labels and signs that last a long time. One of the reasons that this is such a popular option for facilities is that the wax based ink waterproof. Since there are many areas in facilities that are either exposed to water or high humidity, this is an excellent option. This feature is actually available alongside most other options. For example, you can get a color laser printer, a color thermal transfer printer or a color InkJet printer. Having the option to print in color is often very beneficial for many companies. When making a decision to buy an industrial label printer, one of the first things you should look at is whether or not you need a color printer. In some facilities, black and white is sufficient for their needs. In others, color may be a requirement. 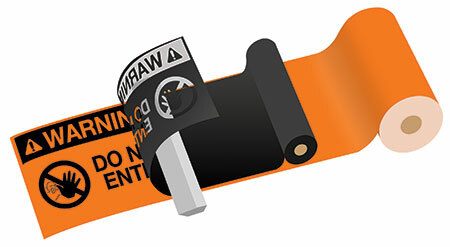 Having a color label printer will allow you to create custom labels or custom stickers that will have color-coded safety warnings, for example. 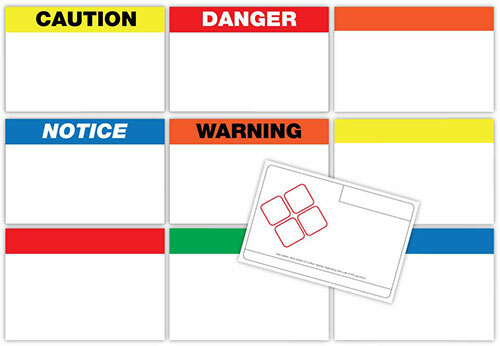 OSHA and other safety organizations often promote the user of colored labels to make it easier to convey a message, even when it is difficult to see actual text. Many facilities also use color label printers when organizing inventory for your warehouse, or improving the efficiency within your supply chain management. If you do choose to go with a color label printer, make sure you have a set of standards in place for the facility to ensure everyone is using the same colors to convey the same messages. Laser label printers are one of the printing options available out on the market today. The actual process that is used with laser printers is quite advanced and the results are an extremely precise image. You can print exact images, legible text and much more with a laser label printer. One other feature to this type of printer is that it is quite fast. This means you can create high quality labels in large quantities without delay. You can get either black and white laser label printer, or color options. Color laser printers are significantly more costly than black and white, but in many cases they are well worth the investment. Laser label printers may be used in the facility in many different ways. If your facility ships out items, for example, you can use them on the shipping boxes. The speed and quality of the laser printed labels are perfect for this type of thing. You can also use them to print barcodes or QR codes since they are very precise. This is something more and more facilities are using because of the fact that it allows them to quickly scan and track things for storage, inventory or other uses. The precise abilities of laser printers also allow you to print smaller labels than would otherwise be possible. This is important for things like medical traceability of test tubes or other small items. RFID labeling can help improve communication and efficency. Another great share by Wikispaces. RFID label printers can be facility that is using RFID technology, or would like to transition into that direction. RFIDs are tiny chips and antennas that can be embedded into label stock and then programmed with certain information. For example, this technology is commonly used in ID badges, which allows the user to simply hold up their badge to an RFID reader to gain access. The RFID label printer prints labels just like any other printer when it comes to the way they look. The big benefit to this feature, however, is that it will write information to the RFID chip. Essentially, the printer programs the chip while it is printing other information on the label itself. This type of printer can help to streamline many different processes. For example, you can print a label with an RFID chip and apply it to every tool you have in your inventory. When someone needs the tool, they can just grab it and hold it up to a reader along with their ID badge. This will instantly log which employee took which tool, and when. This is option also assists with maintenance tracking as the maintenance teams can just use readers to check what maintenance has been performed on things like industrial vehicles, machines and other important items. RFID tags are becoming increasingly popular in retail goods as well. Creating a label with an RFID tag embedded into it will allow retail stores to quickly scan items when they are sold, or even monitor them to avoid theft. The InkJet label printer many capabilities and features. It can print in black and white or color, and is very inexpensive to operate. The InkJet technology also allows for a high quality image to be created on the labels, which is often important to facilities. One feature regarding InkJet label printers is that they can use just about any type of label media around. This makes them very versatile and easy to use for the facility. InkJet label printing technology has been used in a wide range of different industries for many years. 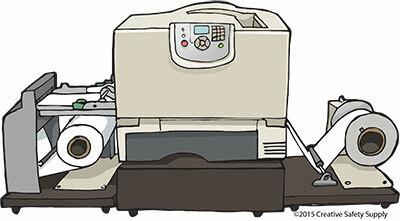 The next category of features to consider is the way the label printer will connect to the computer or other device that will send it print jobs. Easy connectivity can be very important for any industrial label printer, so make sure you really consider all your options. One nice thing about the connectivity features is many printers will allow multiple different types of connectivity to work together. 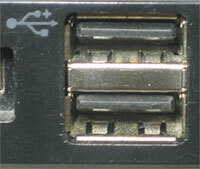 This photo is an example of a USB Port on a printer. Image graciously shared by Ladyada.net. USB ports have become the industry standard for just about all types of peripheral devices, including printers. Just about all computers have multiple USB ports available, so hooking up any type of label printer is just a matter of finding an option one and plugging it in. USB connectivity also allows label printers to be hooked up to a wide range of different types of computers including Windows, Linux, MAC and others. Depending on the type of facility you are running, this can be very important. Using a USB port connectivity option can save your company a lot of time and hassle compared to some of the other options. This is especially true since USB connectivity is the most common option on home computers, so your employees will likely be used to working with this type of connection. Bluetooth connectivity is a well-established option that has been around for quite some time now. Bluetooth is most commonly associated with mobile devices like smartphones and tablets. When it comes to industrial label printers, Bluetooth is an excellent option for smaller, mobile printers. Many companies have hand held or cart mounted label printers that will connect directly to a tablet. 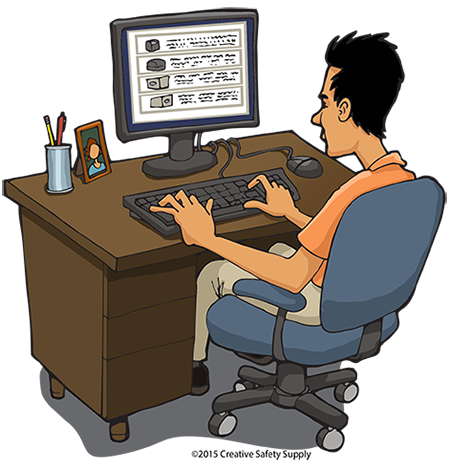 This allows the team members to quickly create custom labels as they are needed, and print them immediately. The fact that there are no wires between the tablet and the printer makes it even easier to get the job done right. This is perfect for labeling pallets that are out on a warehouse loading dock, for example. In fact, they can help improve warehouse safety in many different ways. They are also becoming very popular in doctor’s offices where doctors use tablets to create prescriptions and other quick documents. When it comes to portable label printers, the Bluetooth connectivity is an excellent choice. 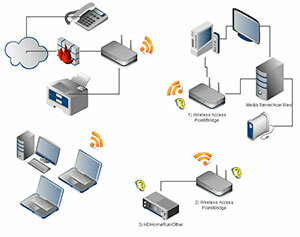 The above network diagram illustrates how wireless devices can be connected using wireless technology. Thank you to Superuser for sharing this image. Wireless connectivity, or WiFi, is a great option for large offices or facilities where many people need to print. You can set up your industrial label printer in a central location, even if there are no computers nearby. The printer itself can connect to your facilities internal network, and from there people can print to it as long as they are on the network. One of the biggest benefits of a wireless label printer is that it will give you the ability to have one printer used by a large number of people. This can save you a significant amount of money over buying a different printer for each department, for example. 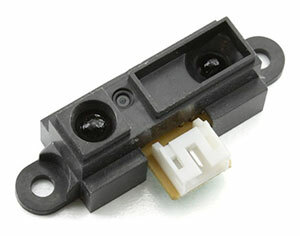 This picture depicts what infrared sensor actually looks like. Special thanks to TinkerForge for sharing. Infrared connection uses the same type of technology that is used by your television’s remote control. Like the remote, it is a wireless connection that has a fairly limited range of use. You can use adaptors on tablets and other mobile devices to allow them to connect directly to the label printers in the area. The biggest benefit to the infrared connection is that it is very simple to set up and can be placed anywhere. This connection type of popular for mobile label printers that you take with you out onto the facility floor, or anywhere that you may need to print custom labels. This type of connection can also be helpful in certain type of facilities where other connection types can’t or shouldn’t be used. For example, in many medical facilities it is not permitted to use wireless or Bluetooth connectivity. Infrared, however, is permitted in virtually any area. 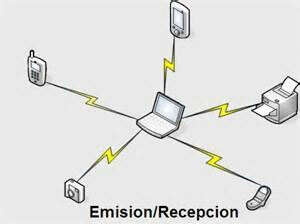 The above image illustrates the relationships between different workstations using basic networking technology. Wikispaces provided this wonderful network diagram. The general network connection is a good option for facilities where the industrial label printer is set up near another computer or network access point. There are a number of different types of cables that are used including older serial cables, or more modern mini-USB connections. 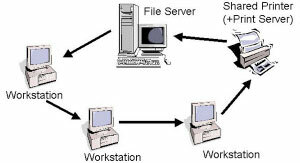 Network printing works by connecting the printer directly to the facility network, which will give everyone on the network the ability to print to it. The biggest benefit to this option is that it is very easy to set up. Once you have added the industrial label printer to your network, people will be able to access it without any configuration or other issues. This makes it easier and can save your company time and money through reduced technical support. The types of media that are able to be printed is another important feature to consider. Most industrial label printers will be able to print on multiple different types of labels. Taking the time to find one that will be able to handle all the different options you need is very important. Adhesive – Adhesive labels are used in many different areas including shipping, receiving, IT and manufacturing. Anywhere that you might want to stick a label, adhesive stock is very important. Long-Lasting – Many facilities use label printers to create signs, and these signs need to last a long time. This is perfect for 5S signs, safety signs and anything else that has a long expected lifespan. Chemical Resistant – If you’re labeling containers that will hold chemicals, it is important to ensure that the chemical won’t burn the label off. These labels are made with specific materials that are resistant to most types of chemicals. Chemical resistant labels are commonly used on bottles, drums and other types of containers. Oil Resistant – Oil can cause problems with traditional labels because it will soak right in and cause the label to come loose. Oil resistant options, however, keep the oil out and allow the label to last. This is perfect for uses on industrial machinery and other areas where oil or petroleum based products are present. Water Resistant – Any label that is placed in or around a water source will need to be able to remain strong, even when wet. Making sure the information printed on the label is protected when exposed to water is also very important. UV Resistant – Many labels will fade if exposed to the sun or other sources of UV rays for a long time. UV resistant labels, on the other hand, will hold the color so they are easy to read. Tear Resistant – Labels are often placed in locations where they are frequently bumped into or otherwise exposed to potentially damaging force. Tear resistant label stock will keep them from ripping. Cold Resistant – Traditional labels can become brittle in the cold, which is why cold resistant stock is important. This is often used in outdoor areas, pipe labeling or even food labels. Fireproof Labels – Fireproof label stock, or more accurately, heat resistant stock, is essential for any areas that can reach high temperatures. Placing a label on an industrial machine, for example, may need stock that will be able to stand up to the heat. RFID Labels – RFID labels have an RFID chip embedded into them. This is great for easy tracking of items that are labeled for retail, inventory, storage and much more. The size of the labels that you can print is also very important. Most label stock comes in 4’’ or 8’’ in width, and on a roll that can be as long as you want it. The majority of label printers will list the maximum width of the stock that it can handle, but will also be able to use smaller widths as well. The general rule of thumb for most industries is to choose the printer that can handle the largest width that you will ever need. The one exception to this is when you are looking into a handheld label printer, or a portable label printer. When this is the case, smaller widths mean more portability. The right stock size can help ensure you have the options to print off safety signs, labels and much more. This can help make your job much easier since you will have the flexibility to create a wide range of different sized labels quickly and easily. Something that many people overlook when shopping for an industrial label printer is the type of software it will work with. Since you will be creating custom labels, custom signs, custom stickers and much more, you need to make sure the software compatibility will be as flexible as you are. Most printers will come with software that will allow you to create and print a wide range of different types of labels. Some even have pre-loaded labels for things like chemical hazards and other safety labeling standards from places like the FDA, ANSI and others. The label printers should also be able to accept jobs from industry standard software suits like Photoshop. This will make it easier for you to be able to create and print the exact labels you need. Now that you have gone through each of the above features, you will want to make a list of which of them are essential for your facility. Every company has different needs in this area so figuring out exactly what you will use is very important. Once you have your list together, start going through all the different industrial label makers on the market and see which ones can meet your requirements. While it may seem like a lot of work now, it will actually save your facility a lot of time and money in the long run. It will also help ensure your company is safer and more efficient. One of the most important things you can do when shopping for an industrial label printer is to look at all the different options you have. As you will quickly see, there are a number of manufacturers, and each of these manufacturers make several different models. To make it easier, read on to learn a little bit about some of the most popular options on the market today. LabelTac is focused on making and selling some of the best-known label printers in the industry. They also have a wide range of media for different situations. This is a popular item in healthcare, manufacturing and many other industries. LabelTac also sells a wide range of different types of labels including pre-printed options to get you started right away. LabelTac printers are among the most recognizable, and used by companies around the world including P&G, Chevron, Boeing, CapitalOne and more. This is largely because of their many options for high volume printing, which is commonly needed in industrial settings, shipping and even medical printing. LabelTac 6 – Print labels up to 6’’ wide with edge to edge printing ability. This model is great for on-demand label printing for industrial settings. LabelTac 9 – This model can go up to 9’’ in width very quickly (up to 4’’ per second). It is durable with a sheet metal construction and a large LCD display. 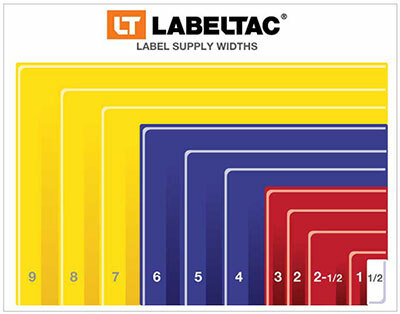 LabelTac 6 Duo Multicolor – Print labels 6’’ wide and up to 60’ long with this high tech model. It also allows for two color printing at a time for much more efficient color printing. LabelTac 4 – This is their entry level label printer, and also one of their most popular. It can make ½’’ to 4’’ signs or labels, and has a 300 DPI resolution. It also comes with many pre-made templates and symbols to use in addition to the option for custom printing. LabelTac 4+ - This is a step up from the 4, though it still prints the same ½’’ to 4’’ sizes. It is a faster and more durable model, yet still very affordable. LabelTac 4 PRO – This is a high volume printer that can hold 3x the ribbons to other models, which makes it easier to print in color. Ideal for shipping jobs, medical jobs, and anywhere that requires a lot of printing each day. LabelTac 4 ULTRA – This is a high end printer with a touch screen LCD for easy use. It can print from .25’’ up to 4’’ in width and is perfect for die-cut labels thanks to the automatic calibration. They offer ten different models of printers with a wide range of different features on them. You can choose from standalone options that can be carried with you and don’t require a printer or you can go with more standard label printers that have additional features. The Zebra desktop printers are made to efficiently print off labels and signs so you don’t have to special order them. They have a variety of features and can print text, pictograms and images with most options. The following are the different lines of desktop printers from Zebra. Performance Desktop Printers – This line is made for high resolution label printing including for manufacturing, hospitality and inventory, among other things. They typically include an LCD screen for choosing options when printing. Advanced Desktop Printers – This is a lower definition printer that can print more labels per minute, but at a reduced resolution. They are commonly used for receipt printing, product labeling and other higher volume items. Value Desktop Printers – The value is a lower resolution option that is recommended for records labeling and other similar activities. Compact Desktop Printers – The narrow printer is for smaller labels. It also takes up less space on the desk itself, which can be helpful. XI Series – Very rugged and durable. Can be used to create labels or tags for manufacturing situations. This printer can be placed just about anywhere in a facility and work reliably. Also made for high speed printing. 105SLPlus Industrial Printers – This is a more economical line, but still prints quickly. Commonly used for documents and other items. It has an all-metal body for added protection. ZT400 Series – This is a smaller printer that is still reliable. It can print RFID labels and other higher tech items. ZT200 Series – This series of printers is easy to use and made for fast ‘everyday’ type of label printing in the manufacturing industry. The RFID printers are designed specifically to be able to program RFID chips that are in labels or other media. R110XL4 – Simple RFID encoding, fast printing speeds and the capacity for larger media rolls. ZT400 – This printer is designed for rugged environments with a higher resolution than most of the other printers in this line. ZD500R - This printer is very small and simple to use. It has limits on the size of the label, but is typically recommended for ID badges, labels and tags. ZE500R RFID Print Engine – This desktop based printer is large and made for high volumes of RFID label printing. Epson is one of the highly recognized names when it comes to the personal computer and traditional printing market, but they also manufacture industrial label printers. Unlike most of the other companies, they tend to focusing on providing printers that can do regular paper printing as well as the labels. This is popular for companies that don’t necessarily need a dedicated label printer. LabelWorks Printers – These are smaller, handheld printers that can create black and white or color labels. The size is limited based on the model you choose, but they include a keypad and display screen so you can create labels from anywhere. ColorWorks Printers – This line is a small desktop unit that can create multi-color labels for a variety of applications. SurePress Industrial Label Printers – This is their highest end option and is made to create a high volume of labels quickly. High Performance – The high performance line of printers has two different options, which can provide four and six inch labels. They are made to be durable, even in the often extreme conditions of a manufacturing facility. They also offer stand-alone printing options. Mid-Range Printers – This level has several printers that can print up to four inches in width. These are typically going to be placed in an office for safety and can create standard resolution labels quite quickly. Light Industrial – This is the lower end of printers. They are smaller in size and are designed to fit in tight spaces without taking up too much room. The resolution is lower, but still sufficient for most industrial uses. Commercial Printers – The commercial line is often used for barcode printing or other similar items. They are able to be connected to a computer or operate as a standalone machine. Finding the right printer may take time, but it will be well worth it in the end.